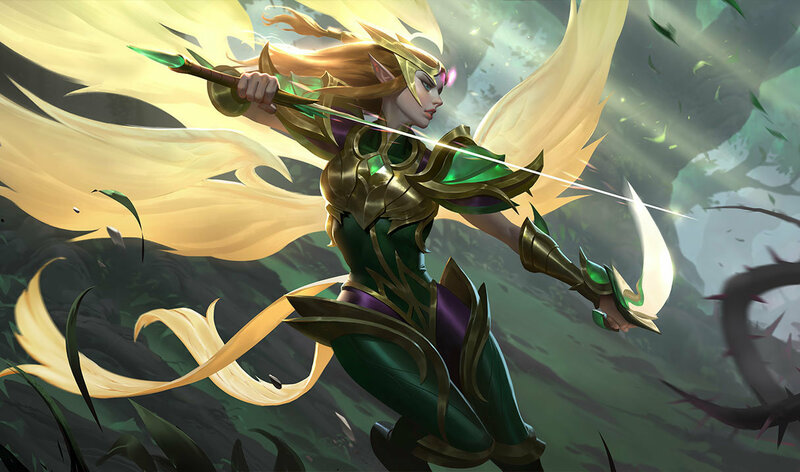 This skin is kinda scary. 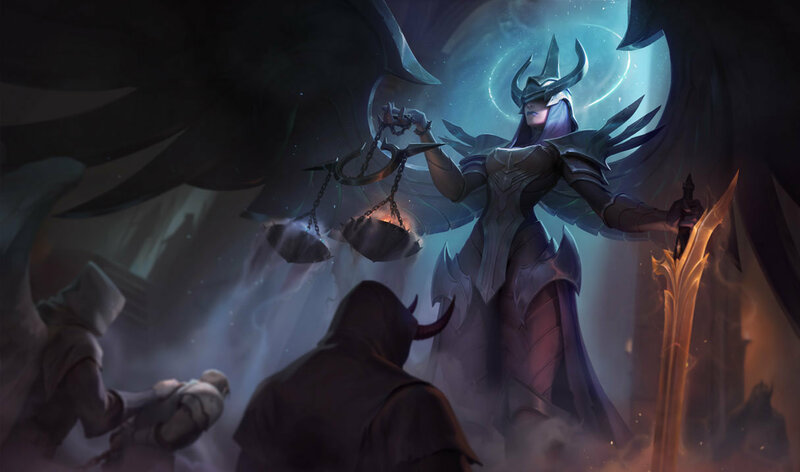 The illustration is very grim and imposing.. 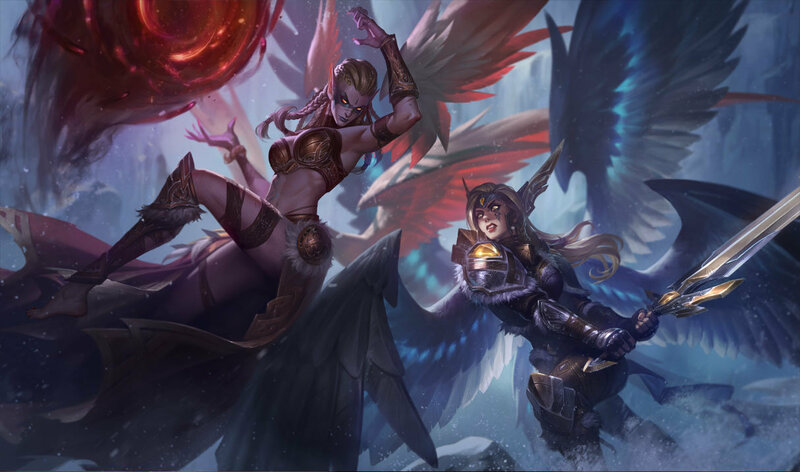 The only reason people buy Aether Wing is her basic attack animations look better. 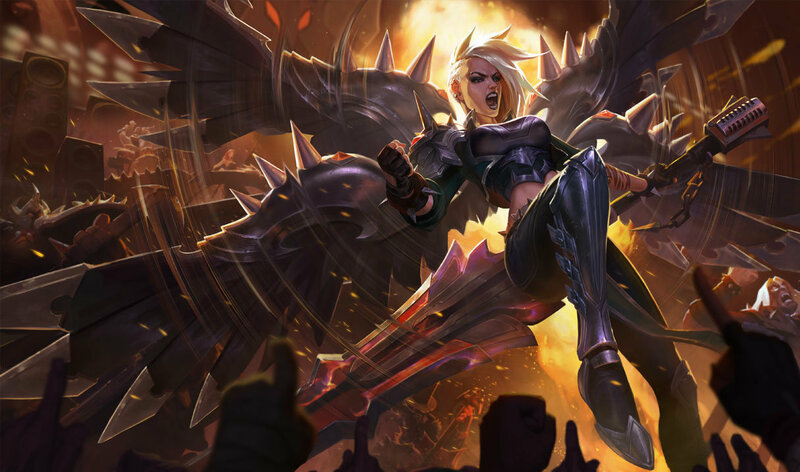 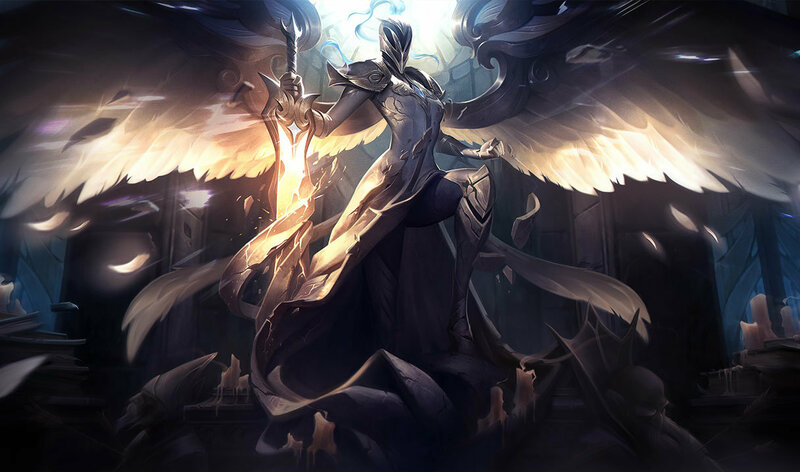 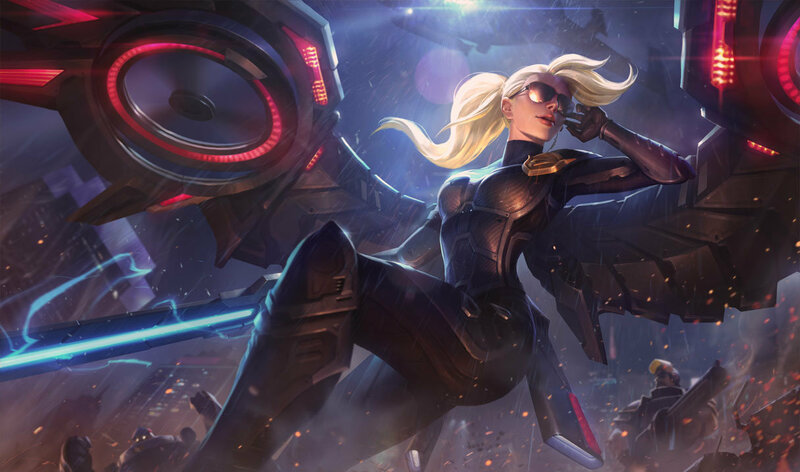 Every non Aether kayle skin is her awkwardly swatting her sword at people like its a fly swatter. 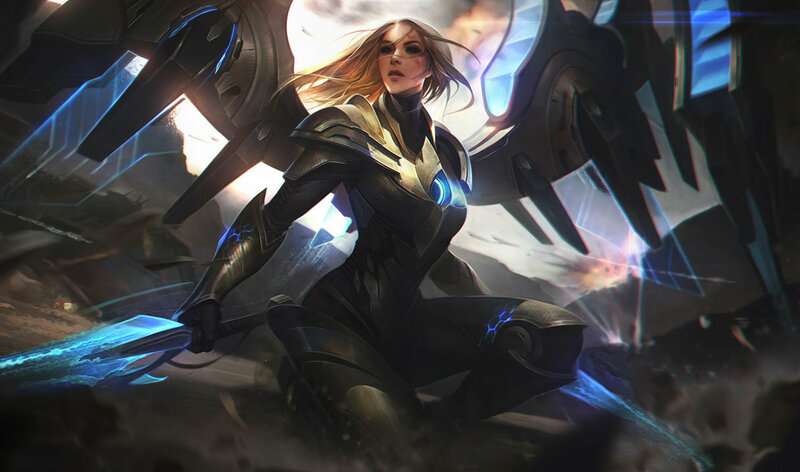 It's only 750, but matches her default particles just nicely. 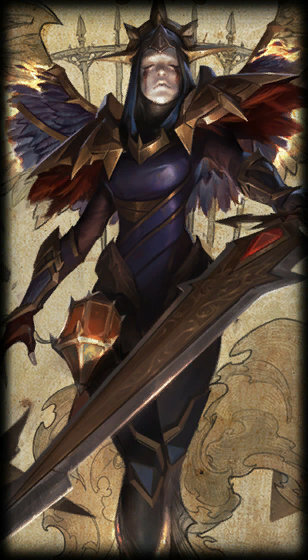 The actual design is great, loving the wings and sword; as well as the hood/mask. 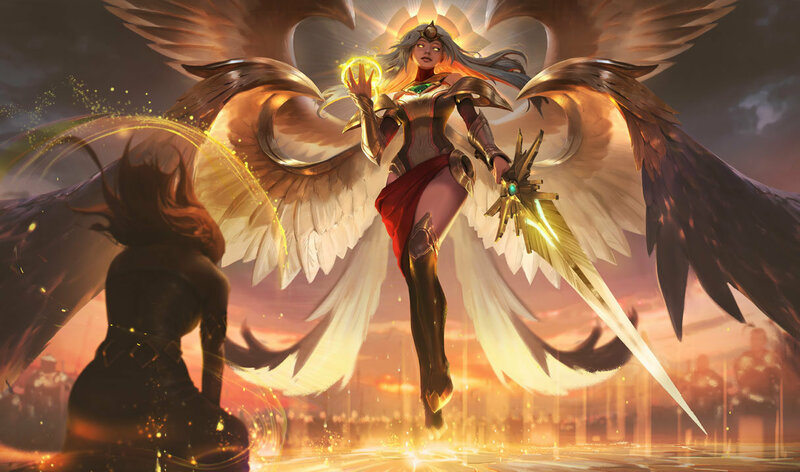 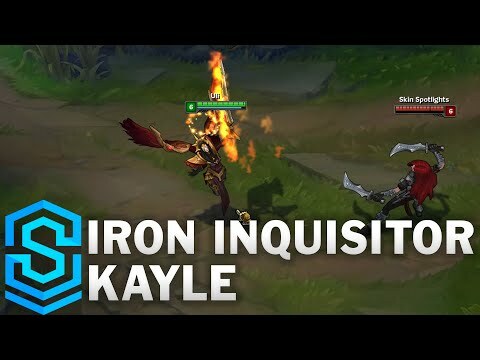 Kayle doesn't have many skins, most are just recolors.